Japanese monitor makers Ilyama have released a new multi-touch enabled monitor for the UK. 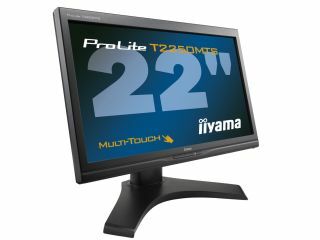 With touchscreens beginning to make a major splash following the release of the touch-friendly Windows 7, Ilyama has decided that the time is right to release the T2250MTS monitor. As the name suggests, this monitor is a 22-inch Windows compliant panel with the all important multi-touch capability. Multi-touch means you can pinch, stretch, highlight and rotate to your heart's content on your PC. "The Multi-touch monitor is feature packed with true 16:9 High Definition and a native resolution of 1920 x 1080 showing it doesn't compromise on image quality, says Ilyama. "It also combines fast 5ms response time with 1000:1 Contrast Ratio and 270cd/m2 typical brightness. "Eco-friendly, it has 1W max power output in standby mode and connectivity inputs of Analogue and DVI guarantees compatibility with all Apple Mac and PC computers." The cost of the monitor is set at £239, with the UK release date set as December; just in time for Christmas.